ICTS has become a part of Eduroam, a global Wifi roaming programme across academic campuses, through ERNET, India. 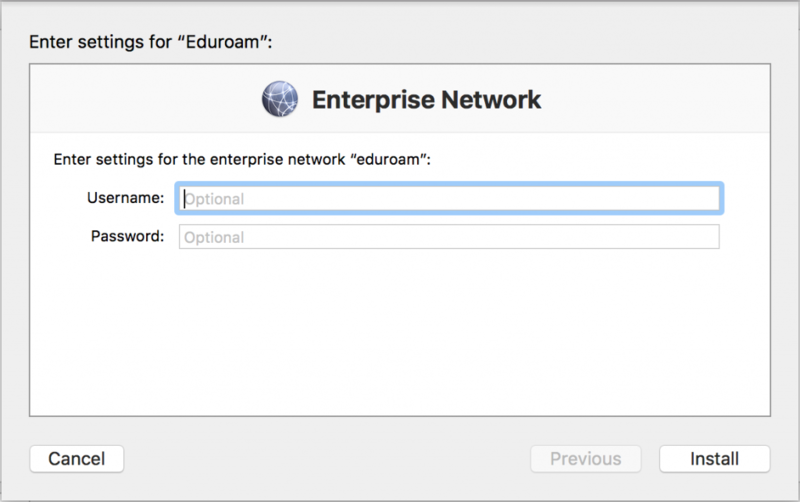 eduroam (education roaming) allows students, researchers, and staff from participating institutions to obtain Internet connectivity across campus and when visiting other participating institutions across India and internationally across 54 countries. 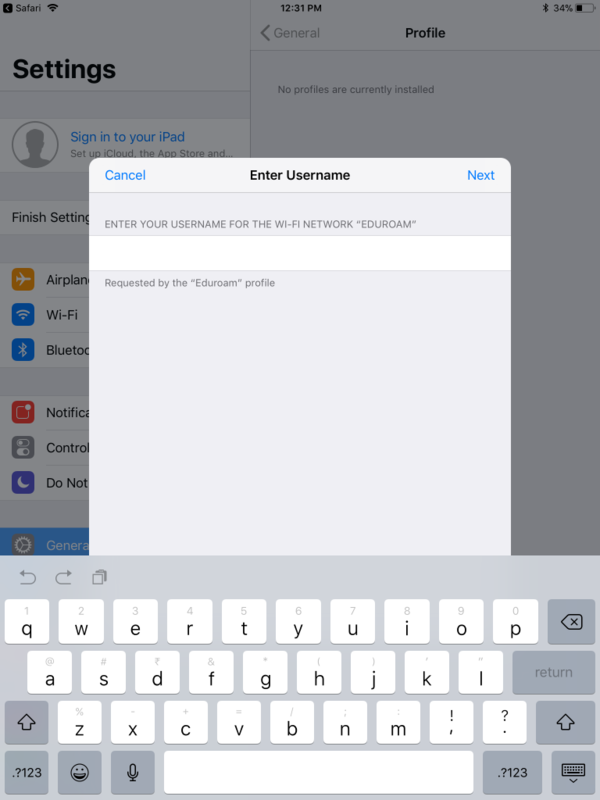 When you can see and connect to the ‘eduroam’ network, you will be able to access it using your ICTS-One-Account credentials. Most of the configuration will be one time only. Thus, enabling easy access to the internet from other universities. 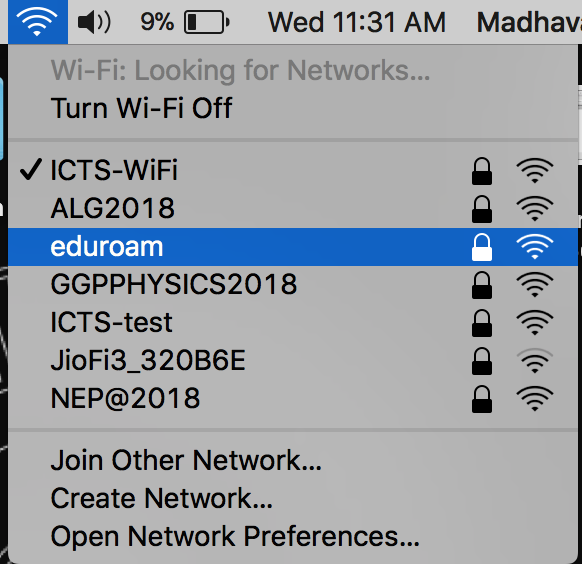 Institutions in India supporting eduroam can be found here. Download the config file here. 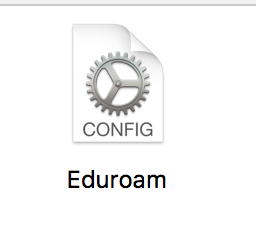 Unzip the file and click on the "eduroam.mobileconfig". 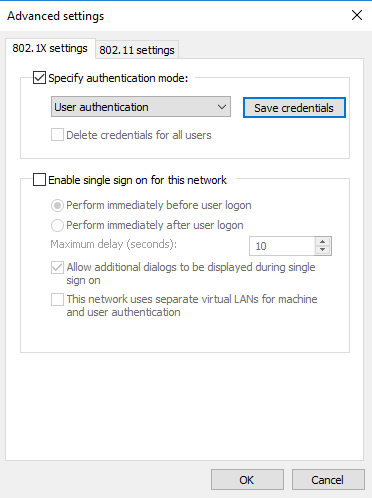 Accept/continue with all prompts and click on install at the last screen ( NO credentials are entered here ). 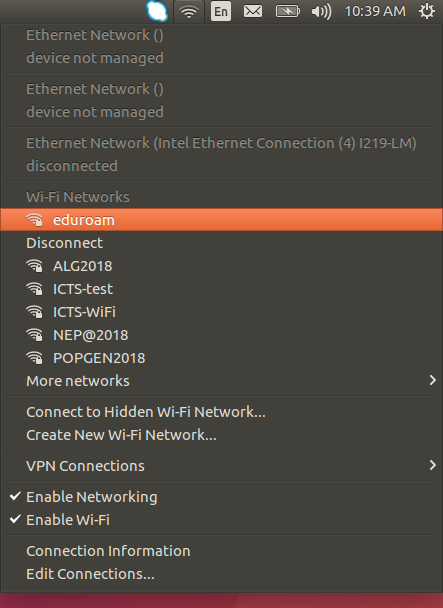 After installation, close the window and connect to your "eduroam" wifi. 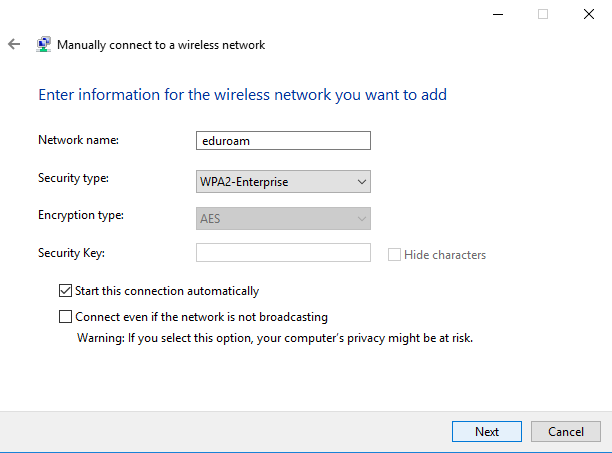 Click on the eduroam SSID which will popup Wifi Authentication window. 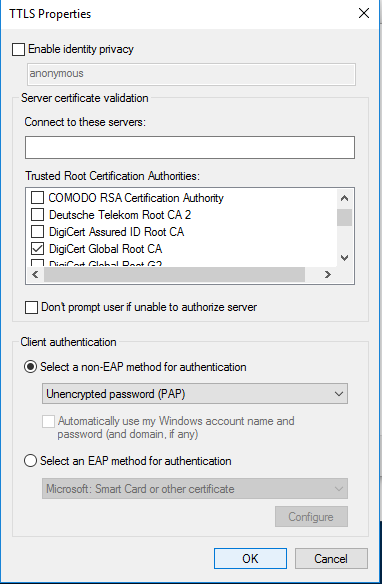 Now Check “No CA certificate is required“. 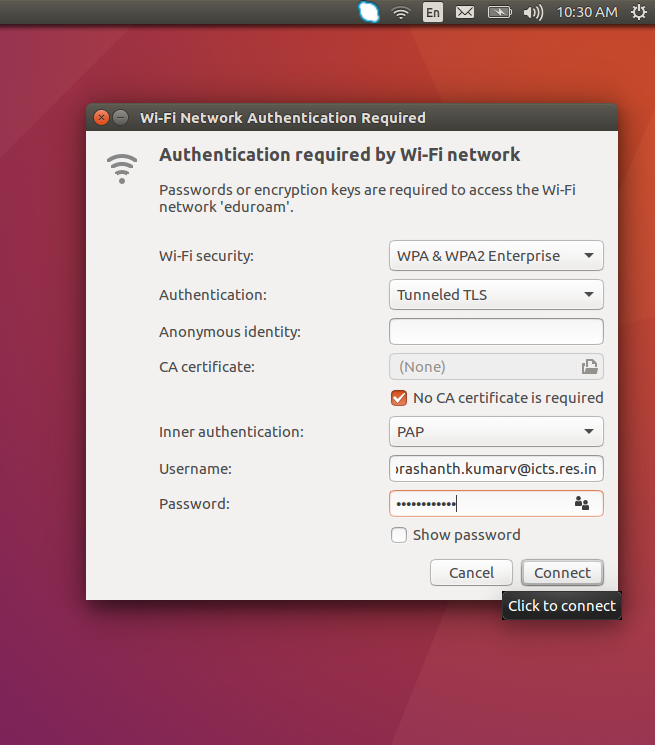 Right-click on the Wifi icon and select Open Network and Sharing Center. 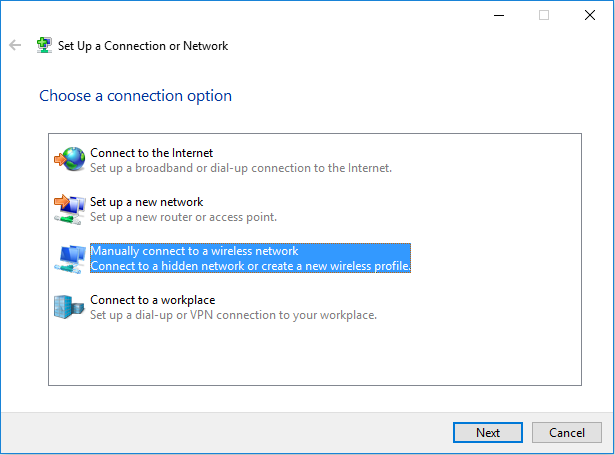 Click on "Change connection settings"
Enter your ICTS Email ID & One-Account password. Click on OK ---> Ok ---> Ok ----> Close. 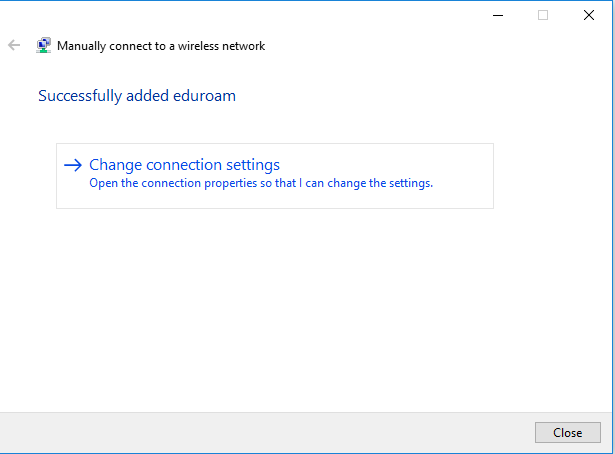 Now "eduroam" Wifi and click connect ( click connect again if it prompts any ). 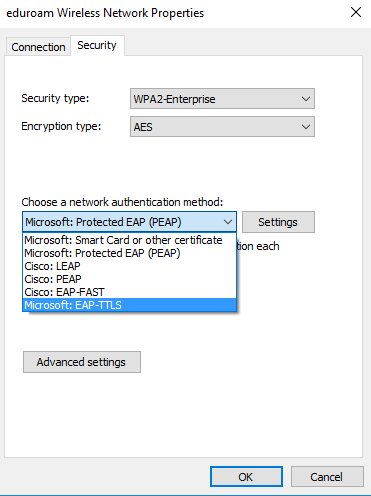 Click on Allow & Install for the following prompts. Enter your ICTS Email ID & One-Account password. 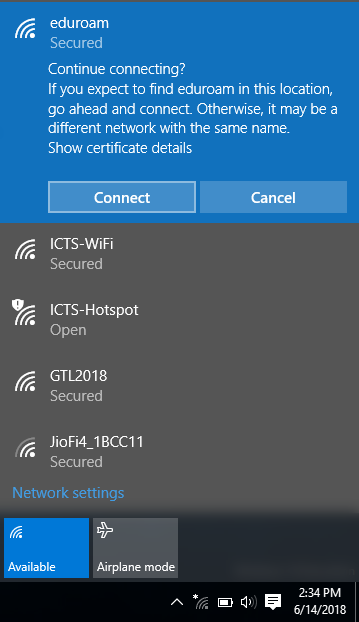 Once installed, Open your wifi settings and connect to eduroam SSID. 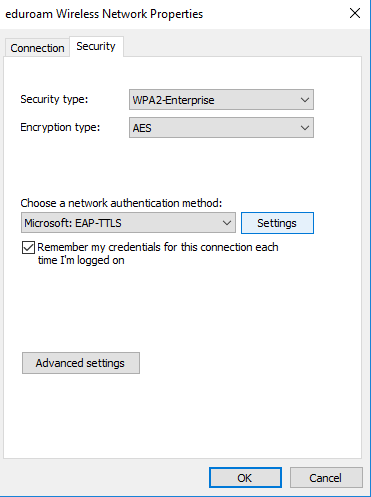 Click on Trust when prompted. 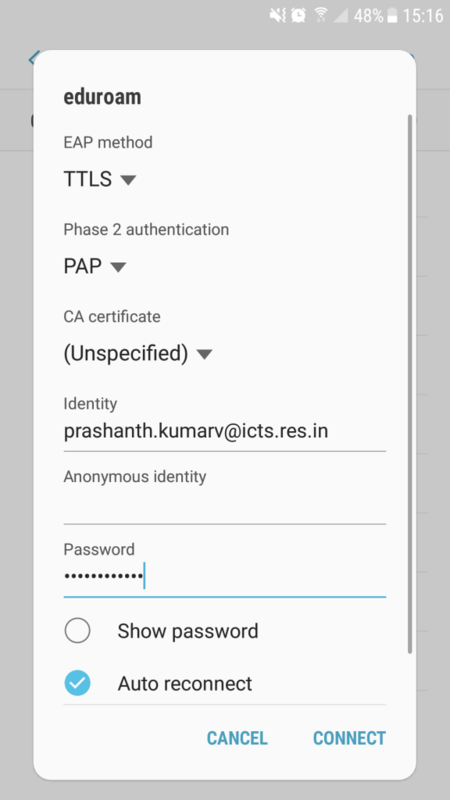 password ( your ICTS-One-Account password ) Click on connect.